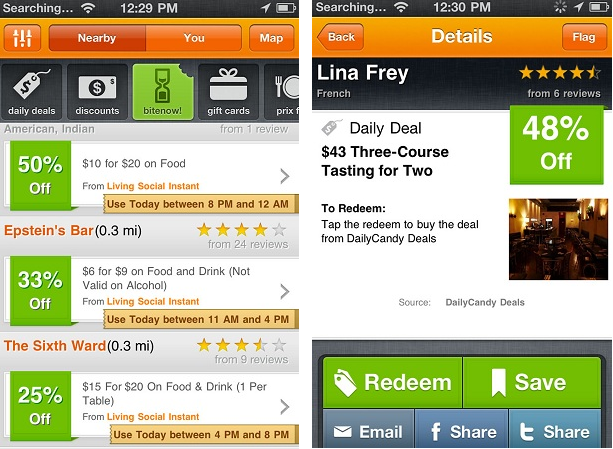 Page of "Love food – Then love these Foodie-friendly apps". Sunshine, culture and delicious food. Travelling allows you to soak up the atmosphere in many amazing places, but without a local’s knowledge you can often be left scrambling around cobbled streets and dingy back alleys trying to look for that authentic Pizza restaurant or sushi bar. 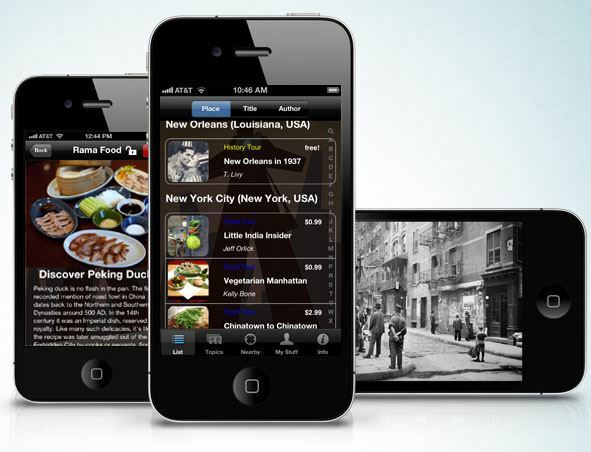 But the modern traveller needn’t fear, what with a whole host of apps out there intended to help you find that local delicacy and get your foodie juices flowing when you’re on your travels. No matter where you are in the world, there is always some gob-smacking local produce for you to sink your teeth into. 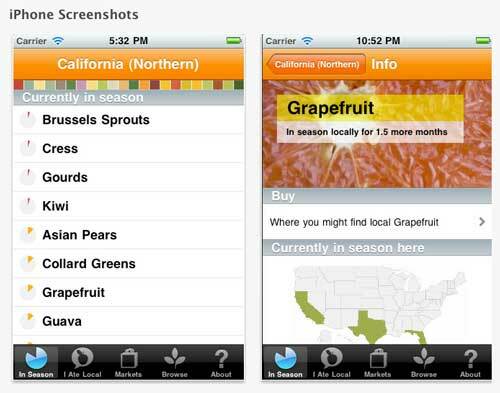 The Locavore app helps you to find the freshest, tastiest local produce growing in the area based on your time of travel. This is great for backpackers who fancy trying their hand at cooking a local recipe for their dorm-mates in the hostel. With Locavore, you can see what food is unique to the local area and crucially you can see when the food is in season and when not. Local farmer’s markets, recipes and menu ideas are instantly generated so there’s really no excuse for you not to get your Jamie Oliver on and cook up something delicious. Similar in concept to Yelp, with a strong focus on the US market yet also with a wide spread of international cities, Localeats have tailored their best restaurants lists to easily allow you to find the top restaurants by cuisines nearest to major landmarks and tourist attractions in all major American cities.Not only that, but the app enables you to view menus, make a reservation and even book a taxi to take you to the restaurant. To save you from being overwhelmed at the variety on offer, Localeats have even curated extensive award lists to quickly show you the most highly rated restaurants in each major American city by cuisine. 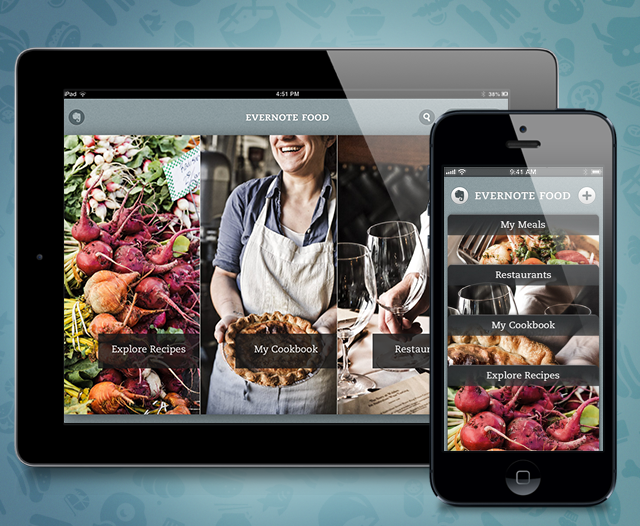 Evernote is already a firm favourite among freelancers, designers and other creatives, but Evernote food is the perfect app for foodies on the go. If you find yourself inspired by a new dish you’ve discovered then Evernote helps you to find the perfect recipe for that dish whilst the cooking process step by step. Evernote was built with social in mind, so the app is a great way to update your friends and family back home with gorgeous pics of the amazing food that you’re unearthing while abroad. The app acts like a walking catalogue of food, as you can create your own unique library of food experiences and recipes via the My Cookbook feature for future use. But when you’re abroad you might want to leave the cooking to the experts, and this is where Evernote food’s substantial local restaurant finder will save the day by showing you the best eats around. If you’re anything like me, and your ambition to travel isn’t always matched by the size of your wallet then Bitehunter is the app for you. Just because you’re on a budget doesn’t mean that you can’t eat some pretty awesome food when you’re discovering a new city. Bitehunter allows you to not only find cheap eats in general, but it also serves up real-time info on daily deals and specials in restaurants near you, which is a great way to watch those pennies. 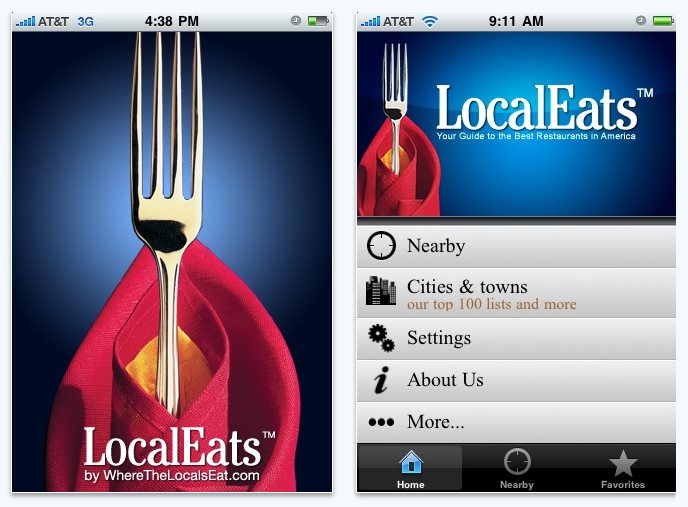 Unfortunately the app only features US restaurants so far, but watch this space for an international expansion. If you’re looking to find what makes a city tick and you’re a food junkie, then the food tours app from Rama should be right up your street. The app offers detailed walking tour routes that will enable you to not only learn the history of the place you’re visiting, but also to discover the area’s cultural food heritage. From food markets to famous restaurants that kicked off a food revolution (such as the birthplace of the Doener Kebab in Berlin), the Rama app has curated unique guides to some of the world’s most exciting travel destinations such as New York, Berlin, Bangkok, Rio De Janeiro and more. The guides are themselves written by locals, so the food knowledge on show should be enough to satisfy the appetite of even the most discerning foodie. More than just an app, Everplaces is a social community aimed at helping travellers and locals alike to discover and explore cities from across the globe. From the minimalist design to the personal touch created by so-called “city ambassadors”, Everplaces present tailor-made recommendations of restaurants, cafes, bars and more for travellers to use when visiting an unknown city. Alongside the standard user-generated recommendations, there’s also the option to download curated guides for the premium travel experience. From a guide to the best Wi-fi equipped Cafe’s in Berlin, to a list of the most adrenaline-fuelled hotspots in New Zealand. 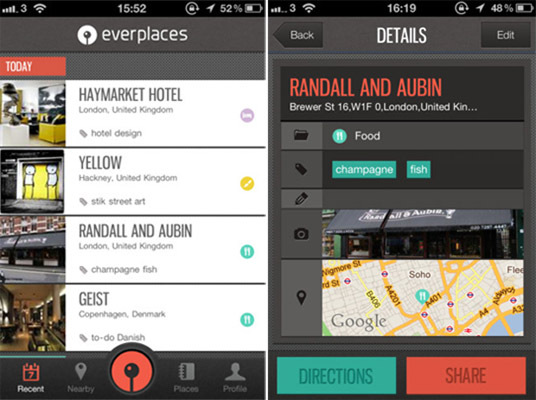 If you’re on a short city-break trip and want to soak up the best of the city, or you’re looking for that perfect romantic restaurant with your partner, then with the Everplaces app you really can’t go wrong.